Chaitanya Group is a leading manufacturer & supplier of animal nutrition products. We offer organic mineral products, Hydrolyzed Proteins providing higher efficiency & safer products for modern animal husbandry. The modern genetic breeds have increased productivity levels, improving growth speed, profits and animal quality. As a result, nutritional requirements have been increasing too. Even with high supplementation levels, it is common that minerals supplied in inorganic forms are not absorbed at the levels and speed required by more productive animals. Minerals play an important role in regular dietary requirements of animal feed and are essential for growth, reproduction and milk production. Essential minerals are destroyed during the digestion process due to interactions with other components of feed. 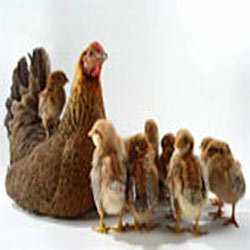 Our Mineral Amino Acid Chelates are very useful in Veterinary, Poultry & Aquaculture industies. Mineral Enriched Yeast is rich source of various natural amino acids, polypeptide, nucleotides, and B-Complex vitamins. Minerals are nutritional source & play major role in various bio metabolisms like protein synthesis, immunity, growth.We offer various animal feed concentrate containing rich source of nutrition .These animal feed supplements can be mixed with fodder and have an extra shelf life. Natural source of minerals and Amino Acids. · Amino Acid Mineral Chelates (Mineral Glycinate Fe, Zn, Mn,Cu,Ca,Mg,Co,B, Se,Mo,Cr & I. · NutriMin - Readymade Multimineral Amino Acid Chelated Formulations. 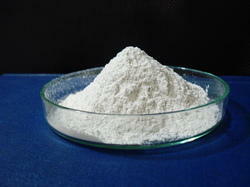 Zinc Glycinate is the product resulting from the chelation of Zinc with amino acid glycine. It is poultry and animal nutritional feed supplement used in various formulations to prevent and/or correct zinc deficiency in animals. · Helps carry carbon dioxide to the lungs. · Helps fight infection.· Keeps skin and hair healthy. · Important in both male and female fertility. · Helps regenerate cell damage. · Hardens hooves.· Improve Immunity. · Durability & strength of hooves was improved from cattle fed zinc. Zinc improves the iron absorption. · Crucial component of many important enzymes and is also needed to activate other enzymes. · Rough coat. · Reduced conception levels. · Poor resistance to all forms of infection. · Mal absorption syndrome, chronic liverdisease, chronic renal disease, sickle cell disease, diabetes, malignancy, and other chronic illnesses. · Decreased growth and lower reproductive performance. A fine, free flowing spray dried powder. NLT 20.00 % w/w. As estimated by AAS method. NLT 4.00 % w/w.As estimated by Kjeldahl’s method. 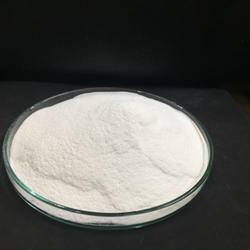 Cobalt Glycinate is the product resulting from the chelation of cobalt with amino acid glycine, It is used in animal and poultry feed nutritional supplement formulations to correct cobalt deficiency in animals. Cobalt functions as a component of vitamin B12 (cobalamin). The microbes of ruminants are able to synthesize vitamin B12 if cobalt is present. Cattle can tolerate approximately 100 times their dietary requirement for cobalt. Young, growing cattle appear to be more sensitive to cobalt deficiency than mature cattle. Initial cobalt deficiency signs are depressed appetite and reduced growth performance or weight loss. In cases of severe cobalt deficiency, cattle display severe unthriftiness, swift weight loss, liver breakdown, and anemia. Cobalt deficiency has also been demonstrated to compromise immune system problems and disruption of microorganism production of propionate (a volatile fatty acid important for glucose production). · Key to promoting bacteria in the rumen that is vital to the formation of vitamin B12. · This process is vital in the breakdown of propionic acid a major ruminant energy source. · Helps in the transport of folic acid to the liver through the formation of Methonine. · Correct the anemic condition. · Involve in Carbohydrate metabolism. · Lack of energy. Poor conception rates. · Reduced growth and weight loss. NLT 10.00 % w/w. as estimated by AAS method. NLT 6.00 % w/w. as estimated by Kjeldahl’s method. Packing : 25 Kg In Multiwall BOPP Paper Bag. 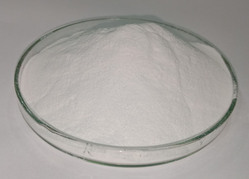 Boron Glycinate is the product resulting from the chelation of Boron with amino acid glycine. It is poultry and animal nutritional feed supplement used in various formulations to prevent and/or correct boron deficiency in animals. · Helps in the utilization and control of carbohydrates and protein in the body. · Increases muscle & tissue growth. · Reduce the Stress Conditions. White To Off White Colored Powder. Soluble in water & Solution is clear. NLT 4.00 % w/w. as estimated by Kjeldahl’s method. Packing: 25 Kg in Multiwall BOPP Bag. 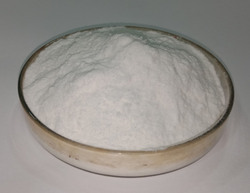 Magnesium Glycinate is the product resulting from the chelation of magnesium with amino acid glycine. It is animal and poultry nutritional feed supplement used in various formulations to prevent and/or correct magnesium deficiency in animals. It is very good source of Magnesium in bio-available form. Plays a very important role in the relaxation of nerves and muscles. Magnesium is also important for converting sugars into energy. PRODUCT: ACCUMIN –MAGNESIUM (MAGNESIUM GLYCINATE). NLT 5.00 % w/w. as estimated by AAS method. 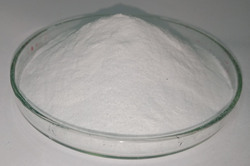 Chromium Glycinate is the product resulting from the chelation of Chromium with amino acid glycine. It is poultry and animal nutritional feed supplement used in various formulations to prevent and/or correct chromium deficiency in animals. Protein digest predigested mixed vegetable protein. Digestion was carried out by enzyme hydrolysis, so that it will take care of nutritional & functional value. In the hydrolysis vegetable & bacterial enzymes are used to avoid the B.S.E./T.S.E. The insoluble native proteins are converted into soluble proteins due to the active enzymes & thus the slurry obtained is separated in to soluble & insoluble fraction. 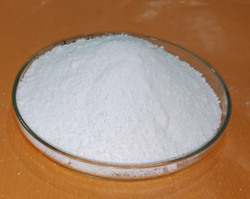 The insoluble fraction is discarded as waste where as, the soluble fraction is further purified; strength adjusted, boiled & then Spray dried to convert the liquid in to powder. This power is called Protein Hydrolysate or Hydrolysed Proteins. It is soluble clear liquid consist of free amino acids, dipeptide, tripeptide & polypeptide. It is easily absorbed by the animal. It a source of organic Nitrogen in the form of essential amino acids or other nitrogenous compounds It is useful in weight gain in production. Protein Digest is a mixture of various essential as well as non-essential amino acids, & short-chained peptides required for the normal growth of animals. Higher Protein supplement found to be essential during gestation & lactation period. • Protein Digest H Pro (Soluble Protein Concentrate with Protein 75-80%) Powder. • Protein Digest H Pro (Soluble Protein Concentrate with Protein 55-60%) Powder. • Protein Digest H Pro (Soluble Protein Concentrate with Protein 30%) Liquid. • Protein Digest H Pro (Soluble Protein Concentrate with Protein 20%) Liquid. Protein Digest- NutriMin T (1) is unique formulation ensure the bioavailability of Zinc, Manganese, Iron, Copper, Cobalt, Chromium & Iodine as it is complexed with amino Acid – Glycine. Due to its chelation it is readily bio available & absorbed through intestine in to the blood & boost up their physiological & biological metabolism. A fine, free flowing powder containing multimineral complex with amino Acid Glycine. NLT 8.00 % w/w. As estimated by AAS method. NLT 4.00 % w/w. As estimated by AAS method. NLT 1.40 % w/w. As estimated by AAS method. NLT 1.10 % w/w. As estimated by AAS method. NLT 0.14 % w/w. As estimated by AAS method. NLT 0.39 % w/w. As estimated by AAS method. NLT 0.10 % w/w. As estimated by AAS method. NLT 3.00 % w/w. As estimated by Kjeldahl’s method. Packing: 25 /50 Kg In Multiwall BOPP Paper Bag. Protein Digest L Pro is hydrolysed protein based animal & poultry feed concentrate derived from vegetable / animal origin proteins (i.e., Soya / Casein etc.) in the form of free amino acids, short chained peptides by hydrolysis which provides organic Nitrogen in most bioavailable form and helps to increase the weight of the animal. · Protein Digest is 100% miscible Liquid protein Concentrate contains free amino acids short chain peptides and having excellent palatability. · High digestibility , efficient elimination of anti-nutritional factors. · High biological value of protein, a well-balanced of bound & free amino acid composition. · Improves growth rate and meat quality, Milk production. · Improve the metabolic activities of the animals. · Improves productive parameters & health of animal. · Better feed conversion ratio, better growth rate, and better meat quality. · Correct the protein deficiency syndrome like lower appetite, weight loss, poor growth, depressed reproductive performance, reduced milk production etc. 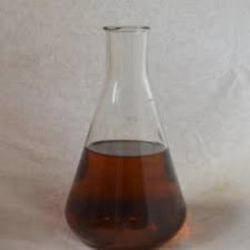 It is used in various veterinary and poultry formulations and preparations like liquid, powder and granular growth promoters and animal & poultry feed formulations as organic bio available nitrogen source containing biological Amino Acid mixture . Light yellow to brownish coloured powder. NLT 6.40 % w/w As estimated By Kjeldahl’s Method. 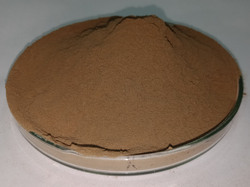 Ferrous Glycinate is the product resulting from the chelation of Ferrous with amino acid glycine. It is poultry and animal nutritional feed supplement used in various formulations to prevent and/or correct Iron deficiency in animals. Iron deficiency results in anemia, reduced gain, listlessness, inability to withstand circulatory strain, labored breathing after mild exercise, reduced appetite, decreased resistance to infection, blanching of visible mucous membranes and a pale color of the muscle meat. It provides oxygen to blood and helps digestion of fatty acids. Iron is a critical component of hemoglobin and myoglobin, two proteins involved in oxygen transport and use.In addition, some enzymes either contain or are activated by iron. · Correct anemia in animal & chicken. · Critical component of hemoglobin and myoglobin. · Increase in zip metal transporters. 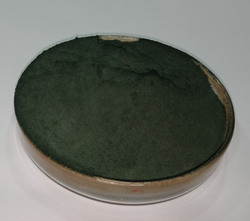 Buff greenish to brownish coloured powder. 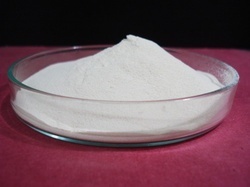 Manganese Glycinate is the product resulting from the chelation of Manganese with amino acid glycine. 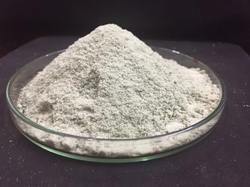 It is also use in poultry and animal nutritional feed supplement & in various formulations to prevent and/or correct manganese deficiency in animals. 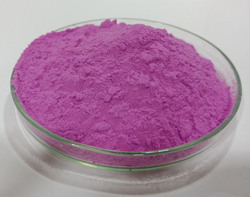 It is very good source of Manganese in bio-available form. · Controls energy production by controlling sugar levels. · Important for bone formation. · Important in nitrogen metabolism. · Key element for conception. · Helps to regulate muscles. · Regulates digestion and digestive bacteria. · It slows down process of aging. · Act as an antioxidant. Activates many enzymes and helps utilize fatty acids. · Low conception rate, abortion, stillbirths, and light birth weights. · Depressed or irregular estrus. White to off white coloured powder. Selenium Glycinate is the product resulting from the chelation of selenium with amino acid glycine. It is poultry and animal nutritional feed supplement used in various formulations to prevent and/or correct selenium deficiency in animals. · Improved broiler breeder fertility. · Improved feathering - less daily feed needed due to improved feather cover. Light yellow to cream coloured powder. NLT 8.00 % w/w. as estimated by Kjeldahl’s method. Iodine Glycinate is the product resulting from the chelation of Iodine with amino acid glycine. It is poultry and animal nutritional feed supplement used in various formulations to prevent and/or correct Iodine deficiency in animals. Most of the body’s iodine is contained in the thyroid gland. Controls metabolism, energy, and mental response maintenance of body condition. Iodine deficiency is characterized by enlargement of the thyroid (goiter). · Goitrogenic substances in feeds suppress thyroid function and can affect iodine requirements. Protein Digest- NutriMin Ca + P are innovative formulation resulting from the complexion of Calcium & Phosphorus in unique 2: 1 ratio. This complex is readily bio available & absorbed through intestine in to the blood & boost up their physiological & biological metabolism. Increase the Bone and shell strength. Laying Hens : Prevents drop in production yields and poor egg shell quality due to calcium & Phosphorus deficiency . Prevent Cage fatigue, prolepses & cannibalism. Ruminants: Prevent Milk fever after calving / lambing. Improves milk production yield especially due to calcium deficiency . Broilers: Improve Growth and prevents bone disorders. Poultry: 1 g per liter of drinking water for 5-10 days. A fine, free flowing spray dried powder containing Complexed form of Calcium & Phosphorus. 2 g Powder Soluble in water. NLT 6.00 % w/w. As estimated by AAS method. NLT 3.00 % w/w. As estimated by AAS method. Protein Digest -Zinc Proteinate is the product resulting from the chelation of zinc with amino acids and/or partially hydrolyzed proteins . It is a nutritional animal feed supplement formulated to prevent and/or correct zinc deficiency in animals. · Helps fight infection. & keep skin and hair healthy. Helps regenerate cell damage & Hardens hooves. · Improve Immunity & fertility enhanced by zinc. · Zinc improves the iron absorption. · Crucial component of many important enzymes and needed to activate other enzymes. · Mal absorption syndrome, chronic liver disease, sickle cell disease, diabetes, malignancy, and other chronic illnesses. · Growth retardation and testicular hypo function. Light yellow to dark yellow coloured powder. NLT 4.50 % w/w. as estimated by Kjeldahl’s method. NLT 28.71 % w/w. as estimated by Kjeldahl’s method. Manganese Protein is the product resulting from the chelation of manganese with amino acids and/or partially hydrolyzed proteins as. It is a nutritional animal feed supplement formulated to prevent and/or correct manganese deficiency in animals. · Important in protein metabolism. · Act as an antioxidant, activates many enzymes and helps utilize fatty acids. NLT 25,52 % w/w. As estimated by Kjeldahl’s method. Copper Glycinate is the product resulting from the chelation of Copper with amino acid glycine. 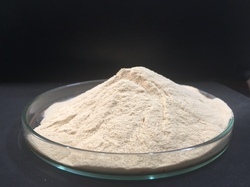 It is also use in poultry and animal nutritional feed supplement used in various formulations to prevent and/or correct copper deficiency in animals. It is a very good source of Copper in bio-available form. 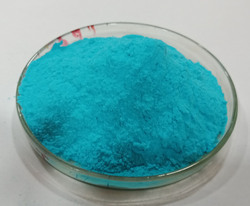 The copper from Copper Glycinate is highly available. It works in respiration, synthesis of hemoglobin and production of collagen. It is also an antioxidant and helps prevent oxidation of fatty acids. Copper is an essential component of many enzymes. Copper deficiency exhibit anemia, reduced growth, loss of pigmentation in hair, changes in hair growth and appearance, heart failure, easily fractured bones, diarrhea, compromised immune system function, and impaired reproduction, particularly estrous cycle disruption. Breed composition of cattle also affects copper requirements. · Helps to form red blood cells. · Important in the construction of hair and muscle. · Key to the utilization and proper metabolism of nitrogen. · Boron Amino Acid Chelate (Proteinate). · Copper Amino Acid Chelate (Proteinate). · Calcium Amino Acid Chelate (Proteinate). · Cobalt Amino Acid Chelate (Proteinate). · Chromium Amino Acid Chelate (Proteinate). · Ferrous Amino Acid Chelate (Ferrous Proteinate). · Iodine Amino Acid Chelate (Proteinate). · Manganese Amino Acid Chelate (Proteinate). · Magnesium Amino Acid Chelate (Proteinate). · Molybdenum Amino Acid Chelate (Proteinate). · Selenium Amino Acid Chelate (Proteinate). · Zinc Amino Acid Chelate (Proteinate). 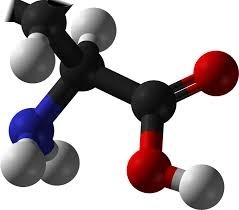 · Boron Amino Acid Chelate (Glycinate). · Copper Amino Acid Chelate (Glycinate). · Calcium Amino Acid Chelate (Glycinate). · Cobalt Amino Acid Chelate (Glycinate). · Chromium Amino Acid Chelate (Glycinate). · Ferrous Amino Acid Chelate (Glycinate). · Iodine Amino Acid Chelate (Glycinate). · Manganese Amino Acid Chelate (Glycinate). · Magnesium Amino Acid Chelate (Glycinate). 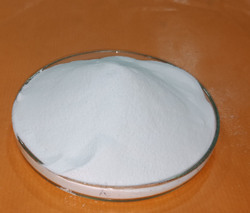 · Molybdenum Amino Acid Chelate (Glycinate). · Selenium Amino Acid Chelate (Glycinate). · Zinc Amino Acid Chelate (Glycinate). · Calcium Bis Glycinate (Soluble). · Ferrous Bis Glycinate (Partially). · Ferrous Bis Glycinate (Fully Soluble). Looking for Animal Feed Supplements ?